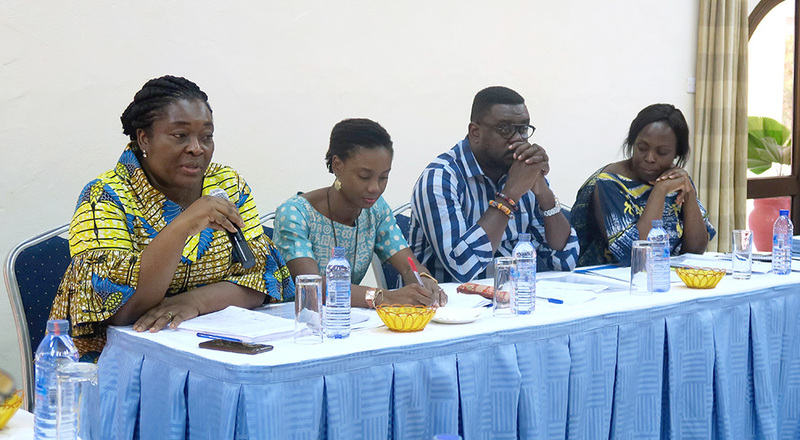 Accra - As part of efforts geared towards supporting labour migration and migrant workers protection in Ghana and abroad, on 17-18 December 2018, the IOM office in Ghana, in partnership with the Ministry of Employment and Labour Relations (MELR), organized a two-day workshop bringing together more than 20 key national and regional stakeholders to validate a draft labour migration policy (LMP) for the country. The validation comes at a time when migration is at the forefront of the international agenda, both through its inclusion in the Sustainable Development Goals (SDGs) and through the adoption of the Global Compact on Migration (GCM) by 164 member states, at the beginning of December. The LMP aims to strengthen the labour migration governance system and promote policy coherence, collection and analysis of reliable data, and the protection of the rights of migrants and their families. The policy also seeks to promote the effective management of labour migration in the country and to optimize the benefits of labour migration for development, ensuring a positive impact on migrants, sending and receiving countries, and communities. Albert Boateng, Director of the FMM (Support Free Movement of Persons and Migration in West Africa), commended the Government of Ghana for adopting the National Migration Policy in April 2016, and further commended Ghana for taking that policy a step further through the elaboration of a LMP, to be situated within the bigger framework of the ECOWAS Protocol on Free Movement. 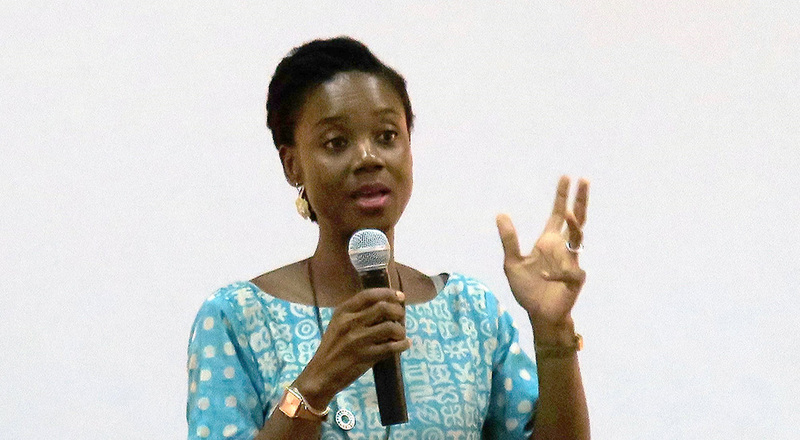 Emma Ofori, PPME Director (MELR) stated: “today’s validation meeting puts an obligation on all of us to ensure that migrant workers have decent work opportunities, are protected, and are able to contribute to the society. We must ensure that there are adequate measures to strengthen labour market institutions”. The policy drafting process had begun earlier in the year with a four day training and consultative workshop for members of an inter-ministerial working group established to ensure a whole of Government drafting process and including included various stakeholders selected from relevant ministries, departments, agencies, and civil society groups. The process of drafting the policy was highly consultative and was spearheaded by the MELR – specifically the PPME Directorate, which chaired several meetings. 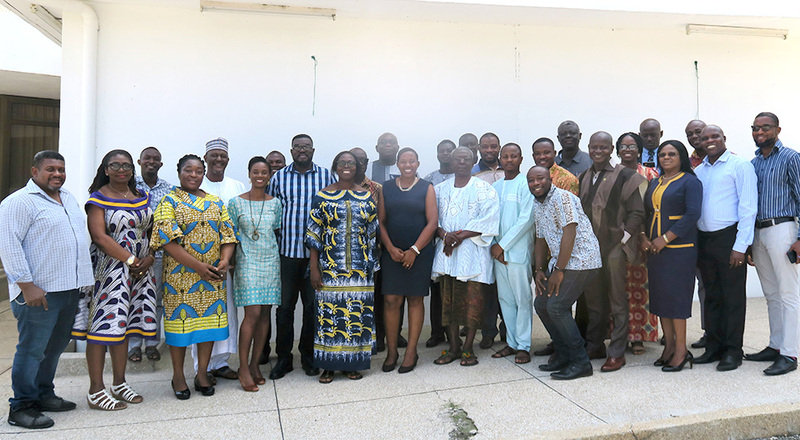 During the two-day workshop in Akosombo (Ghana), participants were taken through the various sessions of the policy, provided comments to validate it, and discussed its implementation plan. Sylvia Lopez-Ekra, IOM Ghana Chief of Mission highlighted that “after the validation we will need to continue to push for the adoption of the policy, and work together for its implementation, so that we can make sure that Ghana as a country benefits fully from labour migration and that Ghanaian migrants abroad and migrants in Ghana are protected”. The policy was elaborated with funding from the ACP-EU Action and the Support to Free Movement of Persons and Migration in West Africa (FMM West Africa) Programme, jointly funded by the European Union and ECOWAS and implemented by the IOM in partnership with the International Labour Organization (ILO) and the International Centre for Migration Policy Development (ICMPD).